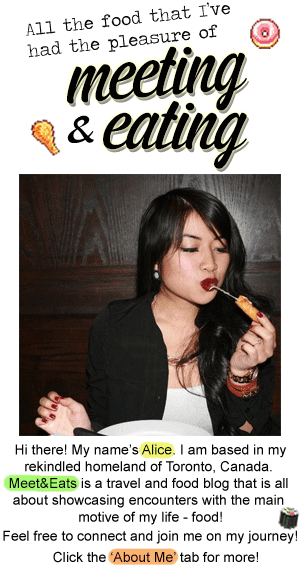 My darling Food Adventure buddy was finally back from her month trip! I was pretty much done admiring the sights she witnessed and the beautiful weather she was experiencing by her Snapchats and Instagram posts. In thinking of a place for out 'First Supper of 2014', I immediately thought of Home of the Brave. Located just above Lou Dawgs at King and Portand, held a 20 minute wait on a Friday evening. 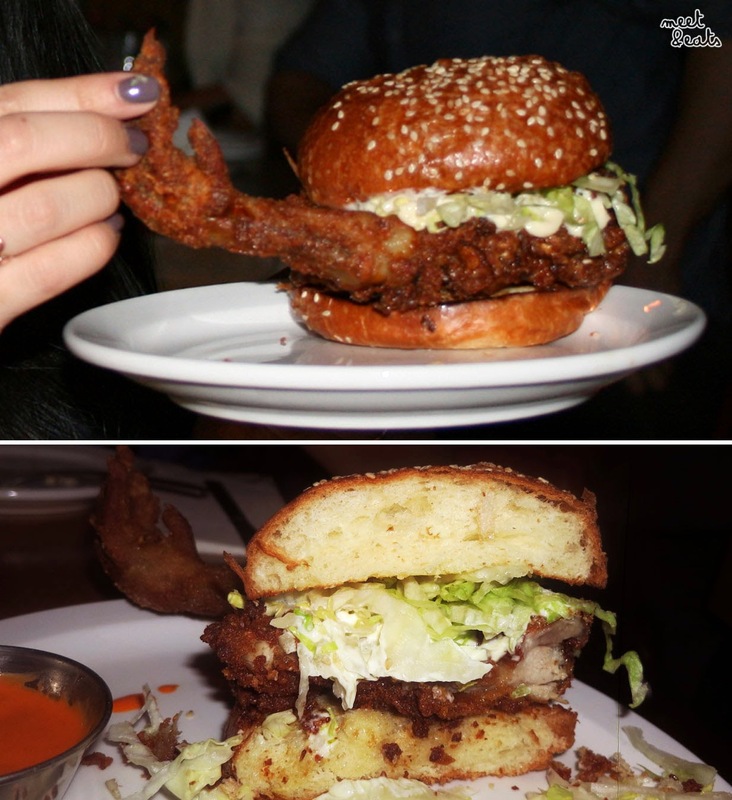 It was my first time chowing in this area, and there were just so many restaurants a few steps away which I wanted to try - Valdez and WVRST - you will both soon be mine! For our 20 minute wait, we waited along side seated at the bar stools, had a nice catch up and browsed through the menu. Every menu item was good ol' American comfort food. I really liked it, the names and the creativity in the ingredients, I was pretty excited with what tonight had instore for us. These were beautiful. 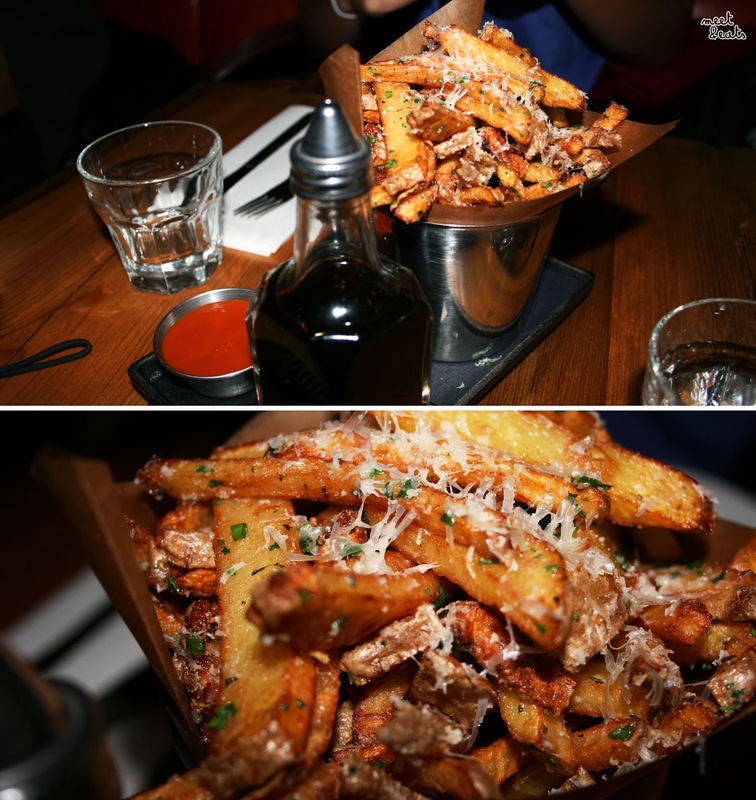 It must be old oil that makes the Freedom Fries have so much depth to become so flavour-some. I loved these especially with the touch of shredded Manchego Cheese and Herbs on top. Malt Vinegar and Catsup were provided on side, perfect, perfect, perfect! Oh boy. After reading Yelp reviews about this baby, we only decided to get it since it was such a comical item. Chicken Feet is an Asian dish, so it was definitely a difference seeing it served at an American restaurant. I can just imagine their orders from the butchers. After each shaking the hand of the chicken foot, we snipped it off and both prepared for our first bite. 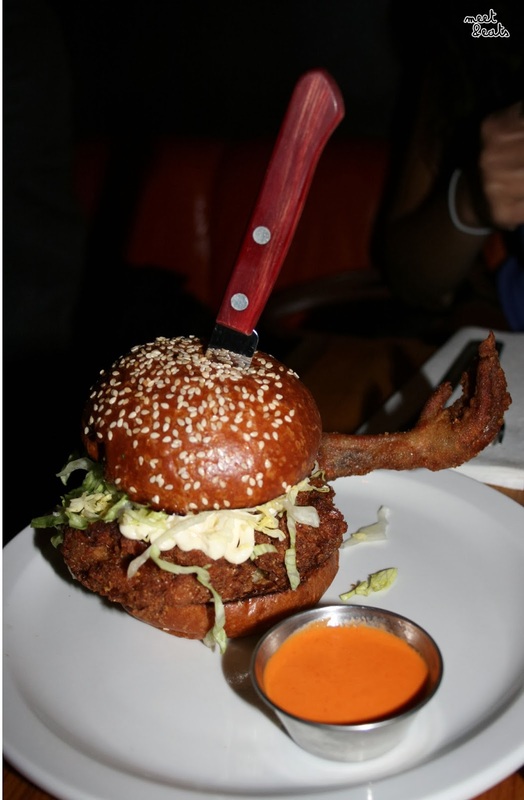 The crisp was perfect, a great amount of batter and nice cut of meat on the bun. It held a substantial amount of moisture and fat, these other Yelp reviewers must have gotten a bad batch, because this was GOOD. And the amount of Mayo slopped onto this thing on a Sweet Bun? Goddamn with the Hot Buffalo Sauce to dip, there was no going wrong. You all needed another angle to convince you. Alike our 'Last Supper of 2013' with a S'mores DIY Set at HUSH Restaurant, we began our 'First Supper of 2014' with S'mores... in Ice cream form! My third time trying anything s'mores-related, I am really digging that word. The range of Ice Cream Sandwiches available at Home of the Brave varies, following their Instagram is a great way to see what's on the menu! I was pretty keen on this S'mores Ice Cream Sandwich - Marshmallow, Chocolate Ice Cream and a Cookie with the density of a gingerbread cookie which held and odd aftertaste. I didn't like this too much, but it sure photographed well! 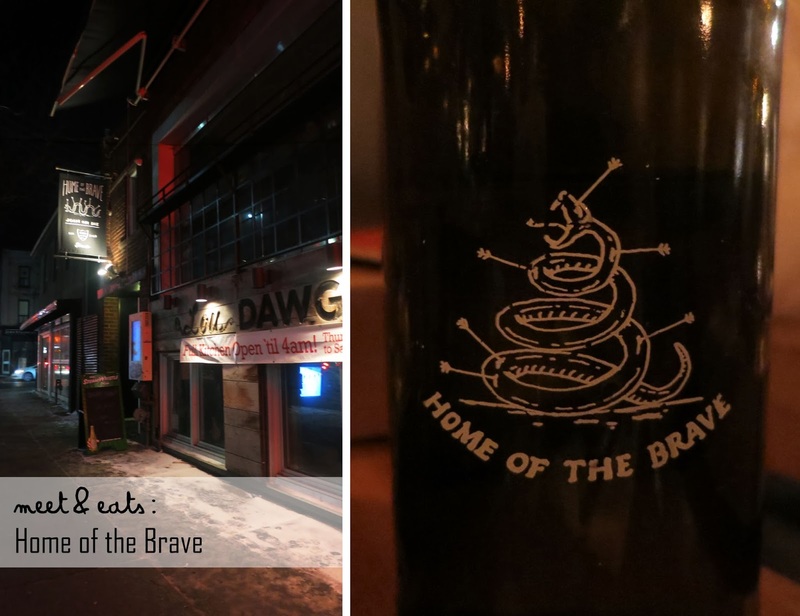 Home of the Brave makes a fabulous pit-stop for snacks. I can imagine spending a night of drinks and nibbles with a great group of people here. I would definitely make a second visit to HOTB once I see anything I fancy on their Instagram. 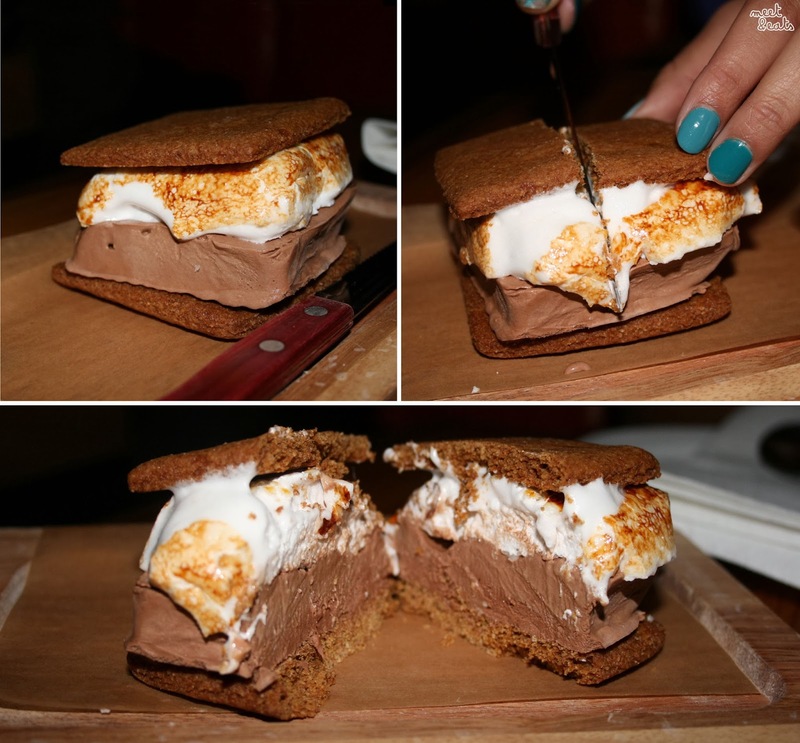 I was initially drawn by the S'mores Ice Cream Sandwich which they posted! The prices are great for the area, and the atmosphere was a blast.